The scene of the incident in Strichen. The driver of the black Renault Clio and his passenger, who suffered neck injuries, were cut free from the wreckage of the car and taken to Aberdeen Royal Infirmary. The crash happened on the A981 Strichen to Brucklay road, about a quarter of a mile from Strichen Community Park. 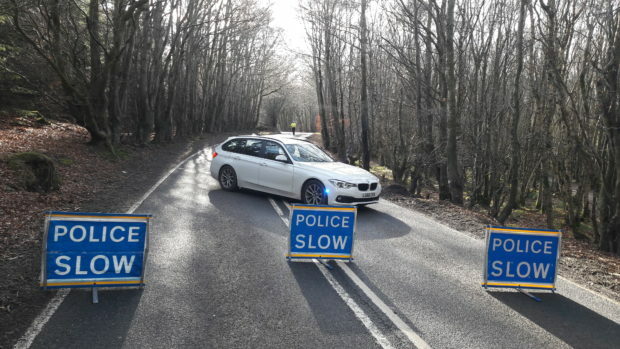 Witnesses described seeing seven police cars and three ambulances racing to the scene at about noon on Saturday, and the road was shut for several hours. Fire crews spent nearly an hour trying to cut the two men free from the car before they were taken to hospital by ambulance. There was no update on their condition last night, but police described the crash as serious. 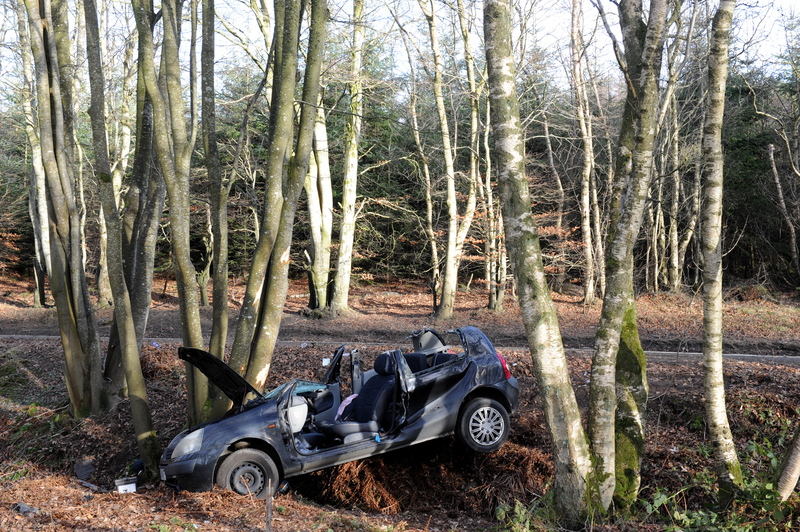 A spokesman said: “The vehicle went down an embankment and then hit a tree. “The two male occupants were taken to ARI. Last night, local councillor Norman Smith, said he hoped the pair recovered and urged people to take care on the roads. “Incidents like these remind us that we’ve got to be very careful on roads,” he said. “It’s unfortunate that these things happen. A fire spokeswoman said: “We were alerted at 12.04pm that there was an incident on the A981 near the Strichen Community Park. “Two appliances attended the incident – one from Maud and the other from Fraserburgh. “Cutting gear and small tools were used to get two passengers from the vehicle.